Brentwood Park Apartments is an Omaha area favorite in apartment living. We're using the experience and knowledge gained from 98 years of building and managing apartments--and listening to residents--to focus on providing the important amenities you expect, for a better price. Let us welcome you home to our beautiful, expertly-lanscaped community. We offer spacious one- and two-bedroom apartments with an extra-large capacity washer and dryer. 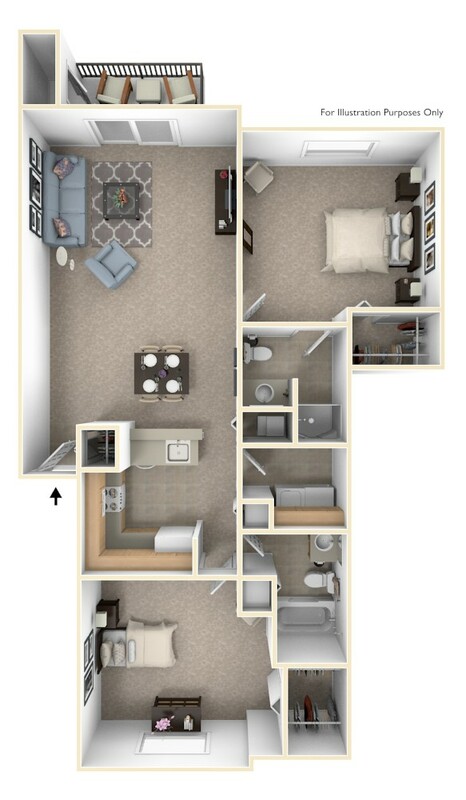 All of our two bedrooms feature a second bathroom with shower. And at Brentwood Park you don't have to worry about paying a monthly gas bill as the gas for heating, cooking and hot water is included in your rent. We also take care of the water, sewer and trash bills for you. So you can rest easy and enjoy the pool with large sundeck and community building with free Wi-Fi. We also offer garage parking with remote opener so you'll always have a reserved parking space and keep the weather off your vehicle. Our 24-hour emergency maintenance service is here when you need us, day or night. Visit Brentwood Park today to see why we're an area favorite. Our staff is eager to show you around. Washer and Dryer. An extra-large capacity washer and dryer is provided in every apartment. Heat Included. The gas for heating, cooking and hot water is included in your rent. Water, Sewer, and Trash Removal is Included. Beautiful Landscaping. We are known for our clean, expertly-landscaped grounds. Garages offered. A garage with a 10-foot-wide door and remote opener is an available lease option. We are leasing! For up-to-the-minute apartment availability, please call (402) 592-3180 or contact us online.